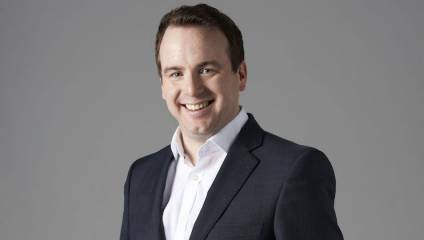 A former advisor to the Labour Party, Matt Forde has since moved into comment and comedy, with TV appearances ranging from 'Mock The Week' to 'Newsnight'. Hot on the heels of a sold-out run at the Edinburgh Festival Fringe, Matt is embarking on a nationwide tour called 'Brexit Through The Gift Shop', visiting 19 venues for his last show as an EU citizen. Matt Forde: It’s basically a bang-up-to-date hour of satire, predominantly about Brexit, with a bit of Donald Trump. CC: Will everyone get it? MF: Oh yeah – any bits of detail are explained so it’s accessible. CC: How are you dealing with the constantly updating Brexit news agenda? MF: I always update my content because, as you say, it’s changing all the time. It’s a great thrill – even though it means I’m writing all the time – to be able to go on stage that night with jokes that have happened that day. So, while the core of the show is still usable, I will always have stuff that’s very current. CC: Your tour spans the Brexit deadline (29th March) – do you think there’ll be a “before” and “after” feel to your show? MF: No question. In the sense of 29th March – definitely. But even though we’ll leave on 29th March, it’ll then drag on through the transition period. But I do think there’ll be a tangible change in the way people are thinking about the issue after we’ve technically left. CC: What made you want to address Brexit in your show? MF: I’ve always done topical comedy so events have led me here, really. I would always have been doing comedy about whatever was going on; on previous tours it was the coalition. The fact that Brexit exists means that, as a topical comic, that’s what I have to talk about. CC: What do you make of the – let’s say – “characters” in the Brexit story. Any favourites? MF: Boris, Farage and Jacob Rees-Mogg are an endless wealth of material – and Theresa May to a certain extent as well. So it’s great to do this show because you have to deal with the issues, with Brexit and the details of it, but you also have big personalities and recognisable personas that people either love or hate. Boris is particularly brilliant for satire – because of his behaviour, on top of whether you think he’s right or wrong. CC: Why is satire a good approach to politics? MF: It’s a good way to inform and entertain people. Politics is deeply complex and divisive – it can be incredibly passionate and contentious. And sometimes people just tune out of the news shows, whereas if it can be entertaining, and people can have a laugh as well as learn a couple of things, it helps them remember it better. If you make people laugh about those governing us, I think that will stick more than consuming news in other ways. And politics will always be ripe for comedy because you’re making fun of power, and you’re also highlighting hypocrisy and jealousy and all the things that make politics such a treacherous arena. CC: Anything else you're working on at the moment? MF: Yes, I’m doing two Christmas specials – I’m doing two shows in London on 1st and 5th December at the Southbank Centre, which is Brexit through the gift shop, the stand-up show, and then on 19th and 20th December at the Leicester Square Theatre I’m doing The Political Party, which is an informal interview with a big political name. I’ve been doing that for about six years. CC: Can you tell us who that will be? MF: I can’t yet… but if you check the website that will be revealed imminently – they’re both excellent. CC: What will you do when Brexit’s “over”? MF: Oh I’ll be dead. CC: So it’s good for a few shows yet? MF: Oh yeah – I fully intend to exploit it for my own gain as long as I possibly can. I just don’t see any end in sight – this debate is going to rage and rage and rage for generations – as it already has. CC: Any recommendations for places to watch comedy / get political? MF: I think the best comedy club in London is James Gill’s Always Be Comedy at the Tommyfield, and Matt Brown’s Outside the Box in Kingston is always very good – you’ll get big stars and great atmosphere at both. In terms of politics – so many people don’t know this – it’s a public right to go into parliament. Unless it’s Prime Ministers Questions, in which case it’s very busy, on most days you can just wander off the street and watch the debate for free. For more information and to book tickets, visit Matt's website.